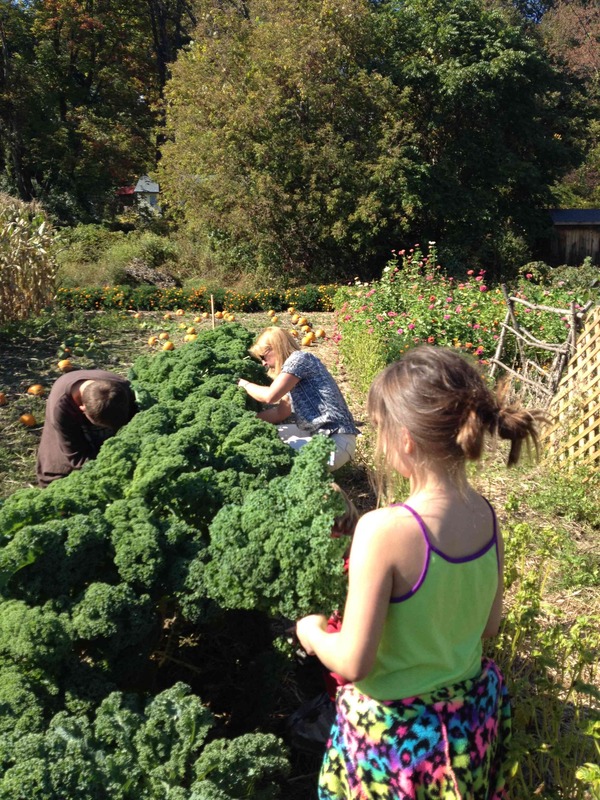 Third graders worked on the concept of multiplication while they harvested kale for kale chips. 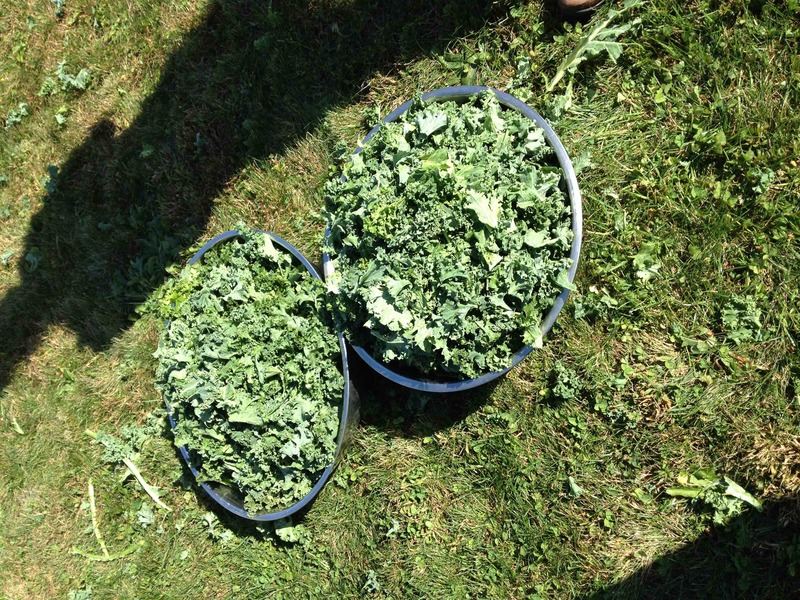 If all 12 students present that day harvested four kale leaves each, how many kale ribs would there be when we were finished de-ribbing? I can tell you that there was a LOT of kale for making kale chips! 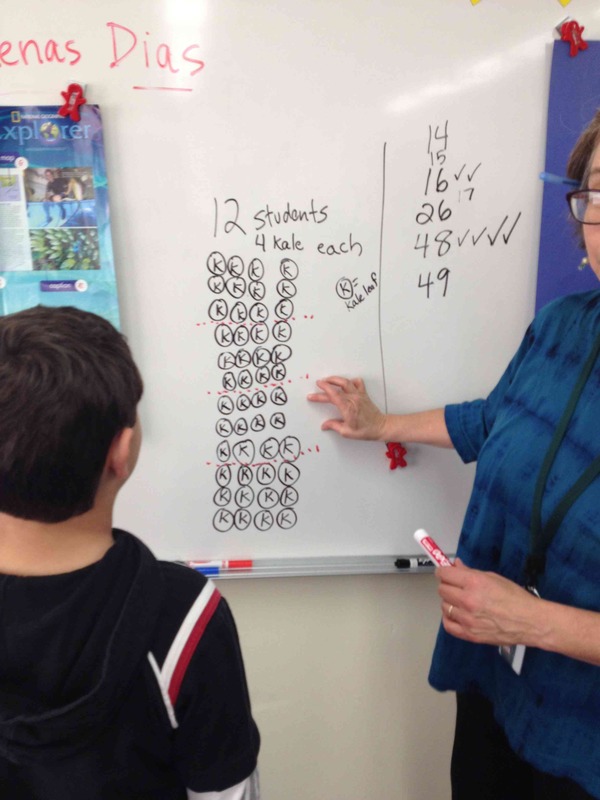 Students estimated the answer to the problem and then brought the ribs back to the classroom (4 each) to check their work! It’s so easy to make kale chips. Preheat your oven to 450. spread the torn kale leaves on a cookie sheet. Add a bit of oil and salt to taste and mix with your hands. Bake for 5 minutes then remove just to stir. Put back into the oven until all the kale is crisp (about another 5 minutes). These chips are yummy just as they are, but you can experiment with different flavors of salt (garlic, onion) or add a dash of cider vinegar when out of the oven.